A complete roadmap to finding new BIG MONEY donors. Written by John Shimer (a Harold J. 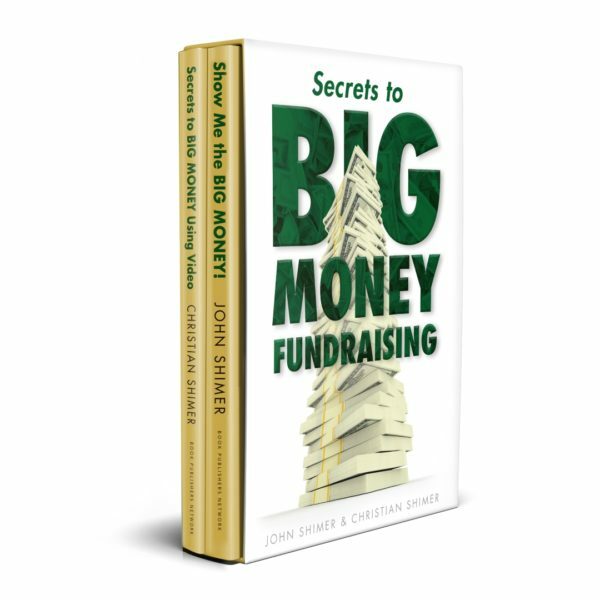 (“Si”) Seymour Awardee) with over forty years of BIG MONEY Fundraising experience, this book teaches the secrets that gold standard fundraising consultants employ and then charge nonprofits $1000 to $2500 a day to teach them. This book will give you the confidence to hit the streets and dramatically increase your nonprofit’s gift revenue.